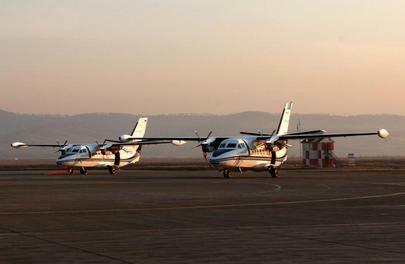 The State Transport Leasing Company (GTLK) has revoked the leasing agreement with PANH Airline concerning five aircraft – three Cessna 208 Grand Caravans and two L-410UVP-E20s, according to the administration of Irkutsk Region. The carrier used to serve three routes using regional subsidies, but these operations stopped on May 1, due to “financial difficulties,” according to the authorities. The carriers’ outstanding leasing payments mounted to at least 160 million rubles at the end of October 2015, and GTLK announced in late April that it would reclaim the L-410s. The carrier responded with an aspiration for the regional administration’s aid, which would help repay debts. In their turn, the local administration was planning on supporting the troubled airline with some help from the federal government. In the summer of 2015, PANH’s general director, Konstantin Osin, said in an interview to Russian Aviation Insider that the airline could not pay the monthly fee of 12 million rubles for the five aircraft. It was also striving for an endorsement to participate in the regional air transport subsidy program. The leasing agreement for the Grand Caravans was signed in 2012, and in 2013 the aircraft entered service with PANH. Operation of the two L-410s started in 2014. Now, GTLK reclaims all of the carrier’s aircraft of these two types. Allegedly, it may lease the L-410s to Irkutsk-based IrAero, but GTLK did not provide a comment.